Is the Philippines turning into a Little Korea Town? It all started with kimchi. Then the hallyu, or better known as Korean wave, washed up on Philippine shores, along with the popular hit song “Nobody” by the all-girl music group, the Wonder Girls. Since the introduction of Korean pop (Kpop) in the country, there has been a steady stream of all things Korean into the Filipino culture—from soap operas to music groups, and even cosmetics and grocery items. Nowadays, it is not unusual to bump into a Korean national in any part of the country, or have a Korean neighbor. It helped that the Philippines was familiar with one of the members of the Wonder Girls, which features former local TV personality Sandara Park. Kpop ruled the airwaves then. Local television was not far behind as it aired Korean telenovelas that were all the rage. Who can forget Coffee Prince, Boys Over Flowers, Lovers in Paris, or Autumn in My Heart? These ambassadors and wives have opened up their homes in the name of the Philippines in various countries all over the world. Now they share lessons and stories about entertaining in the homefront. Brown, golden skin. Wild, curly hair. Pudgy–even flat nose. Round hips and legs. Atypical Filipina or in many ways a typical one? Nikka Sarthou inspires us with the stories of real women who may be far from conforming to the standard of beauty, but have embraced their unique Pinoy features. For years now, travelers have been transiting through the Manila airports without much ado, but it was not until the Ninoy Aquino International Airport (NAIA Terminal 1) has been included in the list of 2010 Worst Airports in the World that people started to be more vocal about it, which prompted the local officials to [finally] take notice of it and do something about it. The list was featured in the international website called “The Guide to Sleeping in Airports,” which ranked NAIA as the fifth world’s worst airport. In 2009, this Manila airport ranked seven in the same list, and it moved up—or more appropriately, moved down the list to gain the fifth position. The ranking was based on the airport facilities, safety concerns, waiting area, service of the staff, security, services to pass the time, presence of bribery, and other general concerns. NAIA Terminal 1 apparently did not meet the grade, as well as other infamous airports like Paris Charles de Gaulle airport, which came first on the list, followed by Paris Beauvais, Moscow Sheremetyevo, and Los Angeles. As a Filipino, I would like to promote travel to the Philippines because I love my country and I think that it is really beautiful. The Philippines has a lot of natural wonders that would attract any travel enthusiast. But it could get somewhat embarrassing to promote travel to this side of the world when I know that all the foreign travelers have to pass through either NAIA Terminal 1 or 2. Airports are the windows to the country and it would not come as a surprise if foreigners would not have a good impression of ours. Even if every Filipino would be a travel ambassador to the Philippines, it would still be hard to sell it primarily due to the travel experience that people would encounter when going in and out of our airports. If our Asian neighbors can step it up, why can’t we? Grab a copy of Metro’s May 2011 issue and read my interviews with actor Jake Roxas, models Samantha Lewis and Pauline Prieto, photographer Ria Regino, indie band Taken by Cars, chef Niño Laus, graphic designer Christian San Jose, fashion designer and blogger Laureen Uy, and the late AJ Perez. 1. Be yourself. Don’t try to be someone else; don’t try to use someone else’s voice. Know yourself. Discover yourself. Know what’s comfortable and what works for you. Readers will be able to sense if you’re trying to fake something, and that is always an awful feeling. 2. Be patient with yourself. This is actually related to number 1. It might take a while for you to find your voice, or to find projects that you will love working on, or to get a paycheck that you will be happy with. As with many other things, writing—especially freelance writing—is a journey. It will take time, patience, networking, study, trial-and-error, and A LOT OF PRACTICE. So give yourself the time and space to explore your craft and you will emerge from it a better, more effective communicator. 3. Be original. It’s important to know who you are as a writer. It’s okay to find inspiration from great writers, but don’t copy them. 4. Write whatever. Practice writing so you will be good at it. It doesn’t matter whether you write in your journal or blog, you just need to write whenever possible. 5. Always learn. Grab learning opportunities whenever you can – join writing workshops, seminars, and other activities related to your craft. You can never go wrong with investing on your education. 6. Be obsessive-compulsive. Never take anything for granted. It’s the details that matter from start to finish. When interviewing, take detailed notes but also pay attention to your subject’s body language. When writing, pay careful attention to grammar, grammar, grammar. Never turn in work with a lot of grammar or typo errors, thinking that someone will “edit it anyway.” Pay careful attention to sources, references, insights, and deadlines. Writing is a very creative act, but it’s also bound by a lot of parameters. If you want to succeed as a freelancer, you’ll have to balance the art and the DISCIPLINE behind writing. 7. Go out. Meet people. If you think that being a writer means staying at your desk and nailed down to your computer, then you are so wrong. You need to go out, meet people and observe, listen to their conversations. Everyone has a story to tell to learn from and may be even write about. 8. Get to know people. Empathy is a trait of any good writer. Uncover a subject’s motivations, passions and imagine putting yourself in their shoes. It will enable you to paint personality profiles, and get the most out of your subject during an interview. 9. Never let an idea run away. Always bring a pen and paper to immediately write down an idea the absolute minute it strikes you. You’ll never know when a good idea will hit, so it’s always good to keep a pen and paper handy. If you’re caught without a pen, you type in your idea into your phone. Have you ever had a date gone bad? 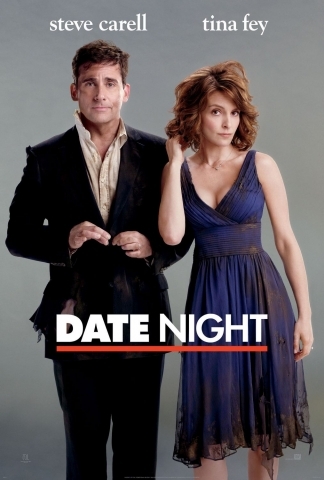 Well, nothing could probably compare to what happens in the action-comedy movie, Date Night. Comedy superstars, Steve Carell and Tina Fey, play the lead roles in this film where they get to display their perfect comedic timing. It tells the story of an ordinary couple from the New Jersey suburbs, Phil and Claire Foster (Carell and Fey, respectively), who transformed from ordinary to the opposite in just one night. Having two kids and being married for quite some time, they have established a routine of their own, including their weekly date night. Every week they have dinner at the same restaurant, and they have even developed a habit of talking about the other couples in the nearby tables (read: imagining what the other couples’ stories might be and making up a conversation about it). This was actually one of the laugh-out-loud moments in the movie. When the Fosters found out that another suburban couple (who happens to be their best friends) was splitting up, they decided to look into their own relationship and tried to abstain from the monotony in their lives. During one of their regular date nights, Claire decided to ditch her usual boring outfit and go for a more sophisticated look. This prompted Phil to dress up as well and suggest that they go to the new, upscale restaurant in Manhattan. Unfortunately, when they got there, there were no available tables. So Phil decided to steal the reservation of a couple that didn’t show up – the Tripplehorns. As they pretended to be the Tripplehorns while enjoying their risotto, two serious-looking guys approached them and asked if they were, in fact, the Tripplehorns. The Fosters went along with their charade and from there, their dream date turned into a nightmare. Date Night is a great movie to watch if you want to forget all the stress in your life, even for just an hour or so. But be aware that this is a comedy film for adults, and there are a lot of innuendos that are not fit for young ears, as well as scenes that may not be appropriate for innocent eyes. Overall, it would not fail to make the audience laugh as comedy’s big names – Carell and Fey, really deliver in this film. You will surely have a moment or two where you will laugh out loud. Notable parts to watch out for are Mark Wahlberg’s bare-chested scenes, and the creative pole dancing moves of Carell and Fey. Also, don’t forget to check out the hilarious outtakes during the credits of the film!